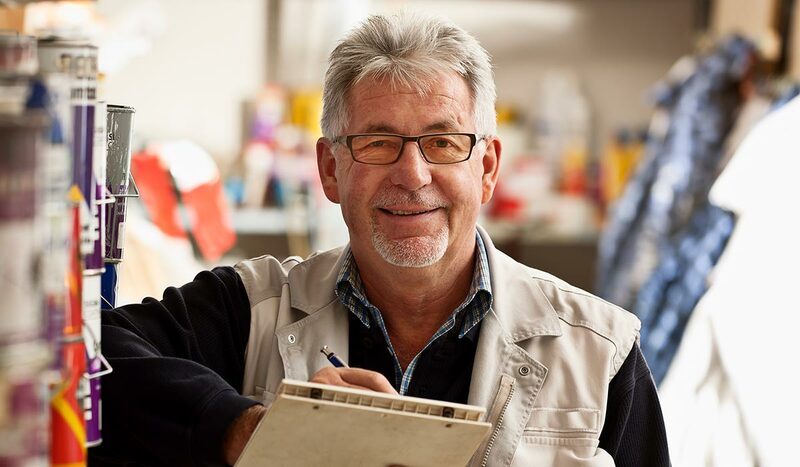 The housing recession has led to the loss of many qualified building employees and the closure of many manufacturing facilities. Now that the market is rebounding, those who survived the recession are experiencing labor shortages and increasing building material costs. Rising concerns about these issues are starting to affect the market as builder confidence experienced a two-point drop in April*. Luckily, there are alternatives to the shortage of lumber and increased building costs. Insulated Concrete Forms (ICFs) are a cost-effective, sustainable and environmentally friendly alternative to traditional building methods. They offer a 30-50% improvement on energy efficiency which helps builders to adhere to more stringent energy codes and contributes significantly to LEED certification. “Our lumber costs for sub floors have increased 100%. The building codes in North America require more insulation in both below and above grade applications. As a rule the codes have increased the insulation requirement by 30% and also require continuous insulation in all buildings residential and commercial,” said a spokesperson from ICF manufacturer, Amvic. “All of these factors mean that the price comparison between ICF construction and traditional wood frame construction will have levelled the playing field from a cost point of view and the fact that you have a much more energy efficient and sustainable buildings with ICF means it is a better way to build. We used to say that ICF construction would cost anywhere from 5 to 10 % higher than traditional construction, but that margin is significantly less now,” he said. In addition to their ability to reduce utility bills, ICFs have a number of advantages for both the builder and homeowner. 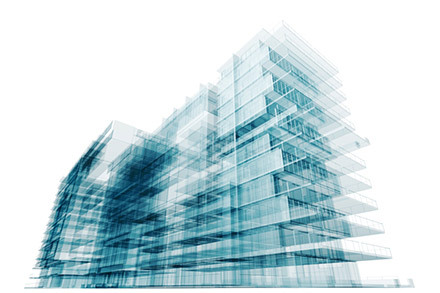 ICF systems provide an R-value of up to 30 with a performance value significantly higher. Due to the EPS insulation, thermal mass of the concrete and air tight construction, the internal building temperature experiences fewer fluctuations, and the buildings are quieter, healthier and more energy efficient. 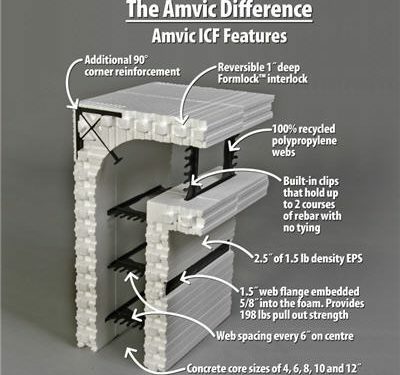 ICFs provide superior protection against the high winds and earthquakes thanks to their reinforced concrete design. ICFs also provide a 3-hour fire rating, are mold resistant and are not affected by insects. 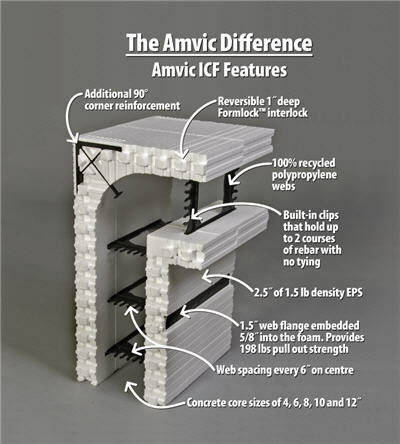 ICFs interlocking blocks mean construction time and costs are vastly reduced. Onsite waste is also reduced as is the need for machinery and specialty tools. The factor which deterred most homeowners and builders from utilizing ICFs has been the cost. With the margin between traditional building materials and ICF costs getting smaller every day, ICFs are becoming a far more attractive option for forward-thinking builders.